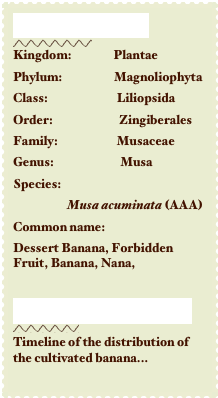 Musa acuminata (AAA) are the species of edible bananas that are commonly used amongst the fruit produce companies of the world. The Gros Michel subgroup was the former commercial leader in production originating from the Malaysian region. Varieties were introduced into the market by a French naval officer becoming very popular in the Caribbean and Central America. The subgroup bearing long bunches of yellow fruit and is large and tall in comparison to other groups. Unfortunately, this variety is susceptible to Panama disease which became the chief reason for cultivators to turn towards other disease resistant banana plants. Cavendish subgroup: The Cavendish subgroup proved to be resistant to Panama disease becoming very important in the banana trading world. There are many variations belonging to this subgroup differentiated by the diversity in the pseudo-stem (non-woody structure) height. The ranking of height begins with the Lacatan at(12-18ft) followed by the Rhobusta and Giant Cavendish towering at (10-16ft) and the Dwarf Cavendish the smallest standing at (4-7 ft). 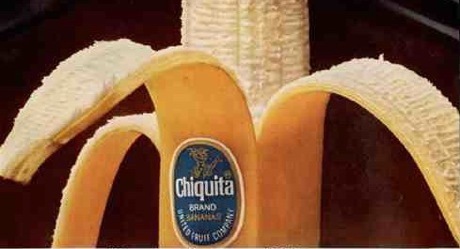 The Cavendish subgroup is the primary producer of Musa acuminata (AAA) today. The ‘Red’ and ‘Green Red’ subgroup is not important to the commercial world of bananas, but are commonly known for their distribution amongst private and residential habitats. Production yield is low and ideal for family consumption. The ‘Red’ has red skin caused by a mutation from green skin produced ‘Green Red’.